Washing the laundry has been my husband's chore since last summer. He himself came up with the idea of doing it; I didn't ask him. So he gets up earlier than I every morning. A great help to me! 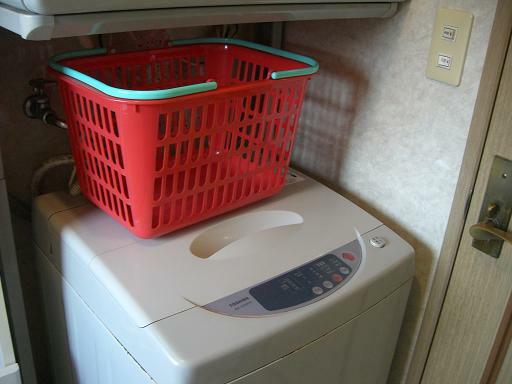 "Don't put a lot of laundry into the washing machine at a time. Mr. Washing-Machine is suffering from work overload. Don't you hear him crying ? " Hi, darling, since when have you become a friend of the washing machine?